This essential visual guide to Solo: A Star Wars Story™ explores the world of young Han Solo in unparalleled detail. 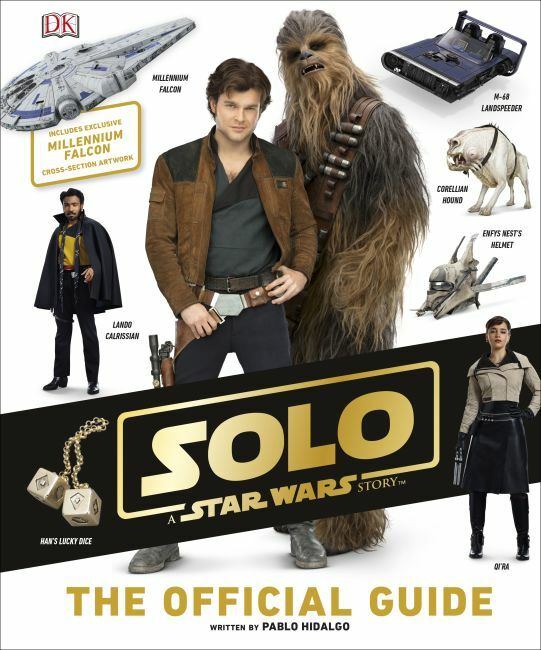 An authoritative companion to the latest Star Wars™ movie, Solo: A Star Wars Story The Official Guide features the fascinating planets, vehicles, and aliens that Han Solo encounters on his early adventures. Explore key characters, locations, and props in captivating detail with extensive production photography and see the iconic Millennium Falcon as its never been seen before, in an exclusive cross-section artwork by Richard Chasemore.